A 2-day fun-filled adventure along the South Coast of Iceland. Stay in a lavish 4-star hotel and enjoy outdoor adventures. Enjoy Iceland’s long spring days with a 2-day short break along the South Coast. After leaving the city limits, you will travel along a road with an impressive and awe-inspiring scenery. Enjoy a Glacier Walk and a visit to Vík, a charming village, before spending the evening in a lavish 4-star hotel. 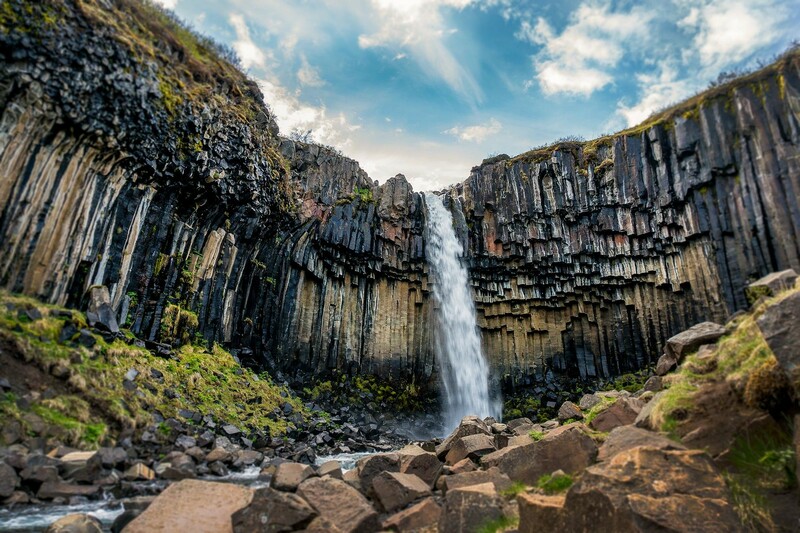 The last day packs in a visit to the Jökulsárlón Glacier Lagoon, marveling at icebergs on Diamond Beach, a hike to Svartifoss waterfall in Skaftafell, a stroll on Reynisfjara’s black sand beach and the powerful Seljalandsfoss and Skógafoss waterfalls. Capture memories that will last a lifetime on this fun-filled adventure.